This short film illustrates how and why the STAR School 3-to-3rd (Age 3 to Grade 3) project chose to Adopt a Montessori approach and Adapt it for the school and community's unique educational needs. STAR is located on the southwestern edge of the Navajo Nation and serves a majority indigenous population. This film was written and produced by Rachel Tso (tsoinspired.com) made for The STAR School (starschool.org) as a part of a free training packet for educators. It is for non-commercial, educational purposes. You are welcome to freely share this film for non-commercial, educational purposes; appropriate attribution appreciated. This was made possible by a grant from The Rural School and Community Trust to the STAR School. Creative Commons - Attribution - Non-Commercial - Share Alike. This help box will will not show up on the live site. You can leave it or delete it. You can put in the video id of a youTube or Vimeo video. ** Never part of a video id: & = / ? Replace the latin text with your video description. Or delete the latin text if you do not want a description. 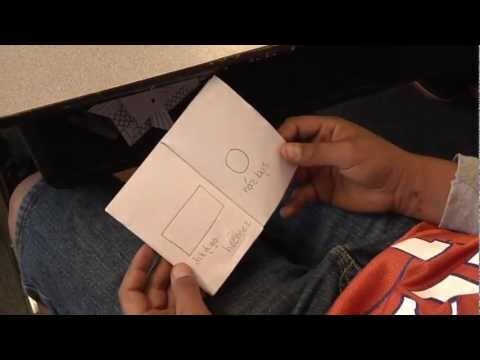 This short film illustrates the use of guided instruction with high quality Montessori math materials for multi-sensory exploration of math concepts at the STAR School. This is one in a series of three short films demonstrating how and why the STAR School's 3-to-3rd (Age 3 to Grade 3) project focuses on math. This film was written and produced by Rachel Tso (tsoinspired.com) made for The STAR School as a part of a free training packet for educators. It is for non-commercial, educational purposes. You are welcome to freely share the above training film for non-commercial, educational purposes; appropriate attribution appreciated. This was made possible by a grant from The Rural School and Community Trust to the STAR School. 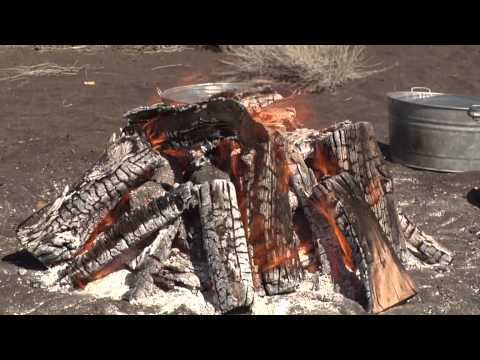 A Focus on Math: Áhi'iltaa, Math in Cultural Context This short film illustrates the use of Dine' (Navajo) Language and Culture in the math curriculum in the STAR School 3-to-3rd project. This is the second in a series of three short films demonstrating how and why the STAR School's 3-to-3rd (Age 3 to Grade 3) project focuses on math. This film was written and produced by Rachel Tso (tsoinspired.com) made for The STAR School as a part of a free training packet for educators. It is for non-commercial, educational purposes. You are welcome to freely share the above training film for non-commercial, educational purposes; appropriate attribution appreciated. This was made possible by a grant from The Rural School and Community Trust to the STAR School. A Focus on Math: The Math Relationship This short film illustrates how the STAR School 3-to-3rd Project recognizes the Relationship of Math to the world within their curriculum. This is the third in a series of three short films demonstrating how and why the STAR School's 3-to-3rd (Age 3 to Grade 3) project focuses on math. This film was written and produced by Rachel Tso (tsoinspired.com) made for The STAR School as a part of a free training packet for educators. It is for non-commercial, educational purposes. You are welcome to freely share the above training film for non-commercial, educational purposes; appropriate attribution appreciated. This was made possible by a grant from The Rural School and Community Trust to the STAR School. STAR 3-to-3rd Multilingual Cognition: Sign Language The STAR School 3-to-3rd Project infuses both American Sign and Navajo Languages throughout the daily curriculum. This short film, part 1 in a 2 part series, looks at the benefits of using American Sign Language with children age 3 to grade 3. This film was written and produced by Rachel Tso (tsoinspired.com) made for The STAR School as a part of a free training packet for educators. It is for non-commercial, educational purposes. You are welcome to freely share the above training film for non-commercial, educational purposes; appropriate attribution appreciated. This was made possible by a grant from The Rural School and Community Trust to the STAR School. This film was featured in the popular Signing Time! blog and website. 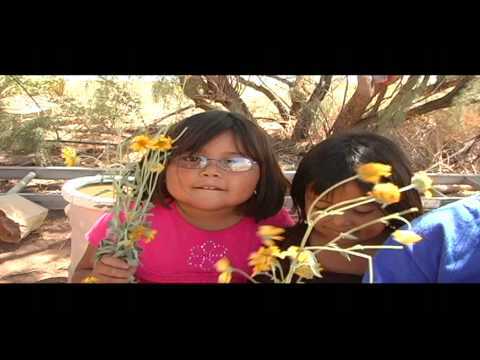 STAR 3-to-3rd Multilingual Cognition: Navajo Language The STAR School 3-to-3rd (age 3 to grade 3) Project infuses both American Sign and Navajo Languages throughout the daily curriculum. 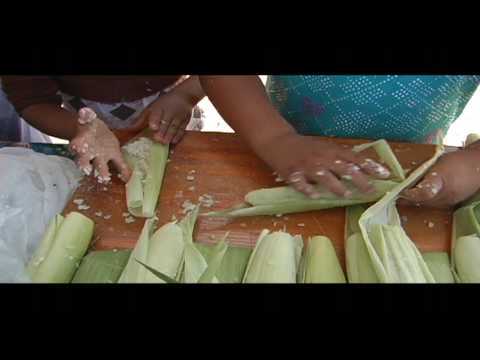 This short film, part 2 in a 2 part series, looks at the use of Navajo Language within the program. This film was written and produced by Rachel Tso (tsoinspired.com) made for The STAR School as a part of a free training packet for educators. It is for non-commercial, educational purposes. You are welcome to freely share the above training film for non-commercial, educational purposes; appropriate attribution appreciated. This was made possible by a grant from The Rural School and Community Trust to the STAR School. Place-Based Education in STAR 3-3rd Model A short film demonstrating how STAR School utilizes Place-Based Education in the 3-to-3rd (Age 3 to Grade 3) classes. STAR is the 1st all off-grid charter school in the country, and is recipient of the 2012 US Dept. of Ed. Green Ribbon Award. STAR is located on the southwestern edge of the Navajo Nation and serves a majority indigenous population. This film is a production by Rachel Tso (tsoinspired.com) made for The STAR School as a part of a free training packet for educators; It is for non-commercial, educational purposes. You are welcome to freely share the above training film for non-commercial, educational purposes; appropriate attribution appreciated. This was made possible by a grant from The Rural School and Community Trust to the STAR School. An official selection of Link TV's Culture Unplugged: Humanity Explored Film Festival. The Prepared Environment in the STAR 3-to-3rd Model - An Expression of Care This short film illustrates how a Prepared Environment in the STAR School 3-to-3rd (Age 3 to Grade 3) project is an Expression of Care. This film was written and produced by Rachel Tso (tsoinspired.com) made for The STAR School as a part of a free training packet for educators. It is for non-commercial, educational purposes. You are welcome to freely share the above training film for non-commercial, educational purposes; appropriate attribution appreciated. This was made possible by a grant from The Rural School and Community Trust to the STAR School. 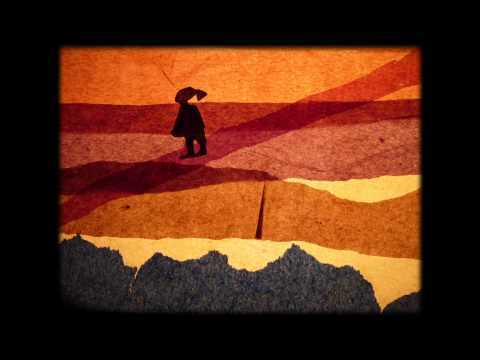 In the Footsteps of Yellow Woman A docu-drama made for an 8th grade project by 13-year-old, Camille Manybeads Tso, who finds her own strengths through learning from her Grandmother and their ancestral history. She imagines what it would be like to be her ancestor, Yellow Woman, who lived through the Navajo Long Walk of 1864-1868. This film preserves the oral history of her family, and is a testament to the courage and fortitude of the Navajo people who endured the Long Walk and the cruel imprisonment at Fort Sumner. Camille conducted the interviews, researched the time period, wrote the script for the re-enactments and recruited her family to help make the costumes, direct, film, act, sing and edit this work. The re-enactments are performed by actual descendants of Yellow Woman and are filmed in many of the places where the historical events had taken place. This film is an official selection in over 50 film festivals world-wide and winner of: Young Filmmakers Spirit Award - ReelHeART Film Festival; Student Production -- Kids First! Film Festival; The Dolphin (Young Filmmaker) Award -- Moondance Film Festival; Best Youth Film of the Year, Best Actor, Best Script -- Cowichan Aboriginal Film Festival ; Special Student Recognition -- Lake Arrowhead Film Festival; Most Innovative Short -- Eckerd Film Festival; Best Documentary Short -- Red Nation Film Festival 2009; Best Student Dramatic Short - Southeastern Native American Indian Film and Video Festival 2009; Best Student Docudrama - International Cherokee Film Festival 2009. Featured in over 90 film festivals internationally. The Making of Yellow Woman Rachel Tso's Thesis Film. Demonstrates the benefits of a Place-Based Media Arts Education and how the Curriculum works. Chronicles the making of Camille Manybeads Tso's award winning film, "In the Footsteps of Yellow Woman," made as a Demonstration Project of Place-Based Media Arts Education. This film was featured in the Arizona State University 2011 Local to Global Justice Forum & Festival, and in the 2011 De La Plume A L'ecran Film Festival in Nantes France. STAR Peacemaking An Educational Documentary in which STAR (Service To All Relations) School Students and Staff Demonstrate how Navajo Peacemaking is Taught and Implemented to Create a Compassionate and Responsive School Environment. Made by STAR School Media 7th / 8th grade students Keanu Jones, Kira Butler, Taylor McCabe, and Kristen Jones under the direction of Ms. Rachel Tso. Based on "The Manual for Peacemaking" by Dr. Mark Sorensen and Thomas Walker Jr. This film is an official selection of: The Peace on Earth Film Festival in Chicago, The Red Nation Film Festival in Los Angeles, The Flagstaff Mountain Film Festival, and shown as a part of the Museum of Northern Arizona Navajo Show. Doo'ko'osliid Dine' youth explore their, and their community's, relationship with Doo'ko'osliid, the San Francisco Peaks in Northern Arizona. Film made by Dine' youth during the Peace and Film 5 Day Peer Leadership Summer Camp. An example of Place-Based Media Arts. Directed by Youth Camp Participants, Mentored by Camille Manybeads Tso and Kira Butler, Under the Direction of Rachel Tso. This film is an official selection of: The American Indian Film Festival in San Francisco, The Red Nation Film Festival in Los Angeles, The Colorado Environmental Film Festival, Link TV's Culture Unplugged Film Festival, and shown as a part of the Museum of Northern Arizona Navajo Show. Ta'Chéé STAR School 8th grader William John explores the traditional meaning and reasons for the Ta'Chéé (sweatlodge) ceremony. An Example of Place-Based Media Arts, Directed by William John, Assistant Director Tevin Todacheenie, Mentored by Camille Manybeads Tso and Keanu Jones, Under the Direction of Rachel Tso. This film is an official selection of: Link TV's Culture Unplugged: Spirit Enlightened Film Festival, The Red Nation Film Festival in Los Angeles, CA, The Flagstaff Mountain Film Festival, and shown as a part of the Museum of Northern Arizona Navajo Show. STAR Energy A student made documentary short about Solar and Wind Energy at the STAR School, the country's first off grid, solar / wind powered charter school in the country; located on the edge of the Southwestern Navajo Nation. Filmmaking by 7th/8th grade students, Kira Buter, Joshua Gregg, Donovan Warren, and Tyrail Smith under the direction of Rachel Tso integrating Place-Based Education with Media Literacy. Music by Kelly Hawthorne. 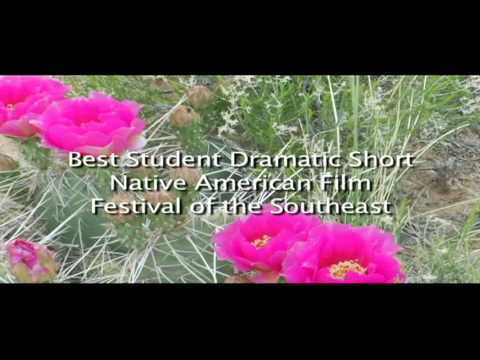 This film is an official selection of: AZ Student Film Festival: Winner of 1st place in Middle School Microshort and the Grand Prize for the Middle School Age Division The Colorado Environmental Film Festival in Golden, CO The Red Nation Film Festival in Los Angeles, CA The Flagstaff Mountain Film Festival, and shown as a part of the Museum of Northern Arizona Navajo Show. This film was also featured in the documentary "Valdagno, Arizona" and screened at the 2011 Venice Film Festival in Italy. Nitsidigo'i' STAR School Kindergarten class visits their teacher's cornfield to learn how to make Nitsidigo'i', Kneel Down Bread, a traditional Dine' Heritage Food. Filmmaking by 7th / 8th grade students, Kira Butler, Joshua Gregg, and Keanu Jones under the direction of Rachel Tso integrating Place-Based Education with Media Literacy. Music by Radmilla Cody. This film is an official selection of: AZ Student Film Festival - Winner of Grand Prize Grades 6 - 8 and 1st place Grades 6-8 Microshort. 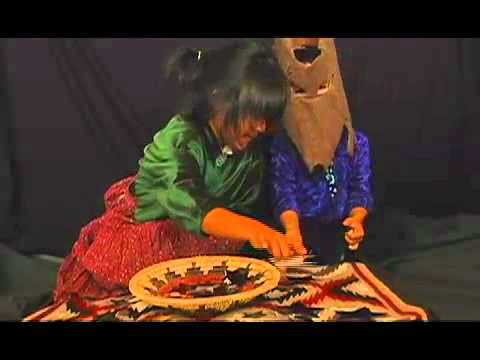 Link TV's Culture Unplugged Film Festival, The Red Nation Film Festival in Los Angeles, Cine Las Americas, Austin, The Flagstaff Mountain Film Festival, and shown as a part of the Museum of Northern Arizona Navajo Show. This film was also featured in the documentary "Valdagno, Arizona" and screened at the 2011 Venice Film Festival in Italy. 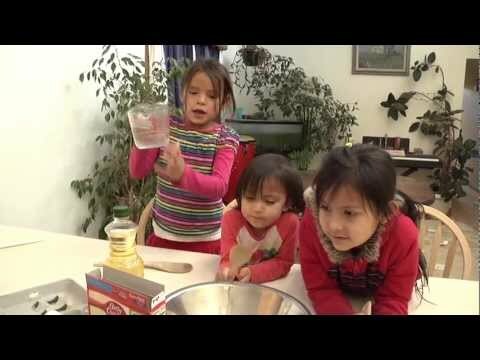 Coyote and the STARS STAR School Preschoolers act out a traditional Navajo Winter Story. Demonstration of integrating Native Literature and Place-Based Media Arts by Rachel Tso. Trailer for Camille Manybeads Tso's award winning film, "In the Footsteps of Yellow Woman." A film about a Navajo teen who finds her own strengths through talking with her Grandmother and learning about their ancestral history. She imagines what it would be like to be her Great-Great-Great-Grandmother, Yellow Woman, who lived through the Navajo Long Walk (1864 - 1868). Performed by the descendants of Yellow Woman and filmed in many of the places where the events actually took place. 26 minute Docu-drama.